1. Education: One year of post-bachelor education or host country equivalent in public administration, business administration, management, finance, or related field is required. 2. Work Experience: This position requires a minimum of five years of full-time experience in an administrative position with budgeting and accounting orientation. 3. Post Entry Training: Introduction to the Program Cycle (IPC) training, Accruals, and other USG accounting and financial management courses or equivalents are recommended. On-the-job training on financial management and procurement procedures is required. In-house continuing training in ACCESS, Excel, Word, and PowerPoint software applications, as needed. 4. Language Proficiency: Level IV (fluency) – speaking/reading/writing English and Kiswahili is required. 5. Knowledge: Agency and applicable interagency management operations, to include financial management, procurement and contracting (including grants, contracts and/or cooperative agreement audit and accounting requirements), and other administrative policies, procedures, regulations, and requirements is required. Must be thoroughly familiar with documentation preparation and processing. Must have strong foundation in finance, accounting, and budget principles, as well as basic knowledge of public health issues in Tanzania. 6. Skills and Abilities: The ability to assess problems and develop realistic solutions is required. 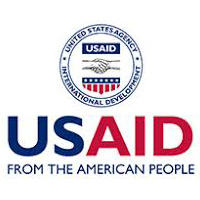 Excellent inter-personal skills in order to coordinate with other USAID/Tanzania offices, interagency partners, the PEPFAR Coordinator’s office, and implementing/cooperating partners are required. Ability to design budget expenditures to meet program needs is required. Ability to read guidance and policy documents and apply the guidance to programmatic planning is required. Must demonstrate strong skills in Word, PowerPoint and particular expertise in Excel to manage budget and financial management functions. Basic knowledge of Access and web-based applications is required. USAID/Tanzania reserves the right to interview only the highest ranked offerors/applicants in person or by phone or not to interview any candidate. ln order to be considered for the position, a candidate must meet the Minimum Qualifications listed above. Consideration and selection will be based on a panel evaluation of the Evaluation Factors. Please note that not all offerors/applicants will be interviewed or contacted. USAID will not pay for any expenses associated with the interviews unless expenses are preauthorized. After the closing date for receipt of offers, a selection committee will be convened to review offers and evaluate them in accordance with the evaluation criteria. Offers from candidates who do not meet the minimum requirements will not be considered or scored. Reference checks will be made only for offerors/applicants considered as finalists. The applicant's references must be able to provide substantive information about his/her past performance and abilities. If an offeror/applicant does not wish USAID to contact a current employer for a reference check, this should be stated in the offeror’s/applicant’s cover letter, and USAID will delay such reference check pending communication with the offeror/applicant.